Brave adventurers! An ancient evil has awoken deep in the steppes of Craglorn and the dreadful blood rites of the Dreadhorn Clan have inflamed the long extinguished fires of the Bloodroot Forge. 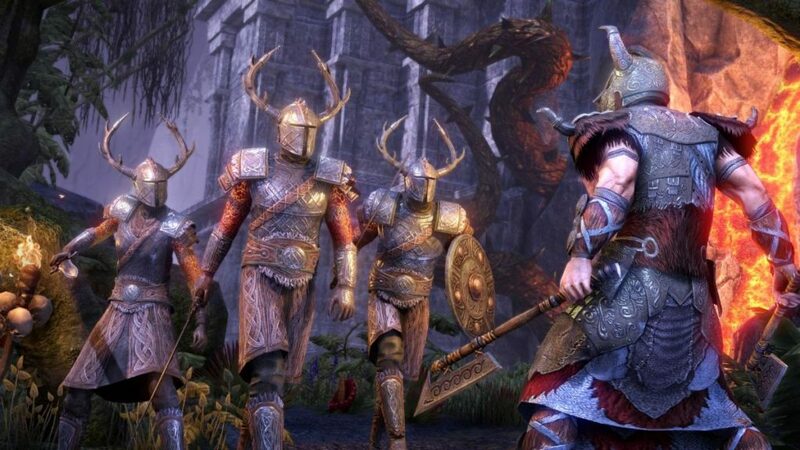 Bloodroot Forge is a brand new dungeon found in the Elder Scrolls Online Horns of the Reach DLC game pack, and it offers a challenging new adventure for you and your friends, amazing new gear, collectibles, and other great rewards. Let’s have a closer look, shall we? The peaceful people of the Jerall Mountains have been abused for months by the Dreadhorn Clan, an uncommon coalition of Reachmen and Minotaurs and you and your fellow warriors must investigate the reason behind this phenomenon. 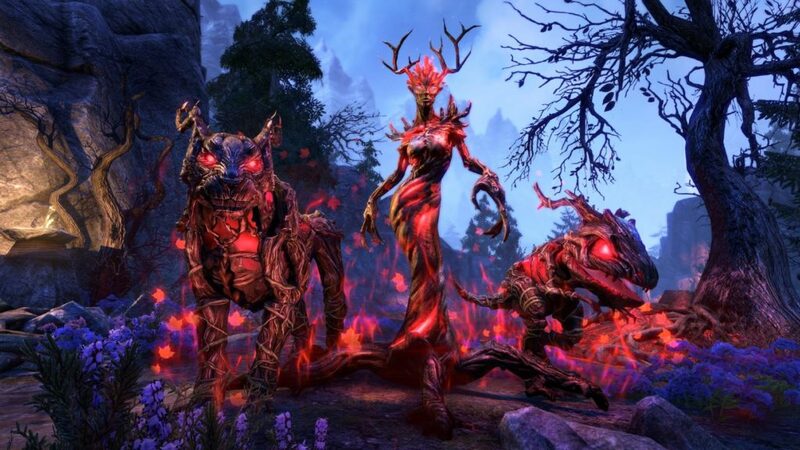 As your team approaches the Forge one will not help but notice the strange vegetation consisted of pulsing vines that seem to draw Nirncrux, a rare mineral that gives the area a red glow. As you further investigate the area, you will soon find out that Nirncrux has infested everything, from the Reachmen who now stand guard together with Minotaurs, to Nirnblooded magical beasts summoned by a Hagraven to help with their foul deeds. 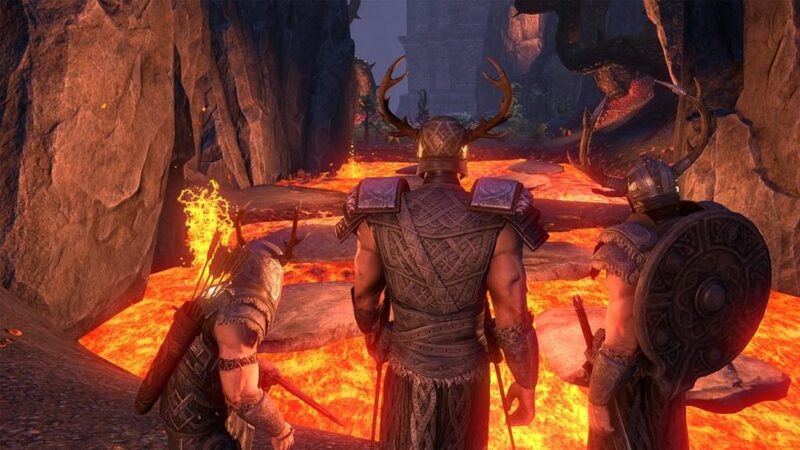 The deeper you venture into the Forge, the more dangerous things will become with lakes full of molten Nirncrux and collapsing caves until you finally reach the Forge itself where you will discover the results of the Dreadhorn Clan’s rituals. Fighting against the denizens of Bloodroot Forge is not an easy task; Nirncrux has infested everything and granted your opponents powerful abilities that will put all of your skills to the test! What is more, every one of the five bosses encountered is a fearsome adversary with devastating skills that will require cunning, coordination, alertness and luck in order to have a chance to beat! And as in the Falkreath Hall dungeon, the environment plays a very important role, sometimes to your advantage, others to your demise! Finally, the end of your journey will have you face the Earthgore Almalgam, the guardian of the Forge in a fight where you will have to find a way and interrupt or nullify his abilities if you want to emerge victorious! After a long and difficult fight, one must expect an appropriate reward; well, Bloodroot Forge will not disappoint you! As it is customary, every boss will drop a piece from one of the three new sets (light, medium and heavy) and the first time you complete its challenge in Normal mode, you will receive a unique mounted trophy for your home; finishing the dungeon in Veteran mode will reward you with a bust and will unlock the Keptu-Horn Skull Sallet collectible to show off your achievement! Finally, there is a brand-new monster mask set for you to acquire! The Earthgore set is designed especially for healers and it will allow them to heal others more efficiently! The Elder Scrolls Online: Discover the Reaper’s Harvest and earn free Crown Crates this weekend! The Elder Scrolls Online: Enter the Horns of the Reach Delver Giveaway!